Are you a steinholding athlete who wants to look awesome while you're training at the gym? Are you running a competition and looking for a sweet prize for your champion? Are you a person who likes cool things? If you answered any of these questions, you've come to the right place. 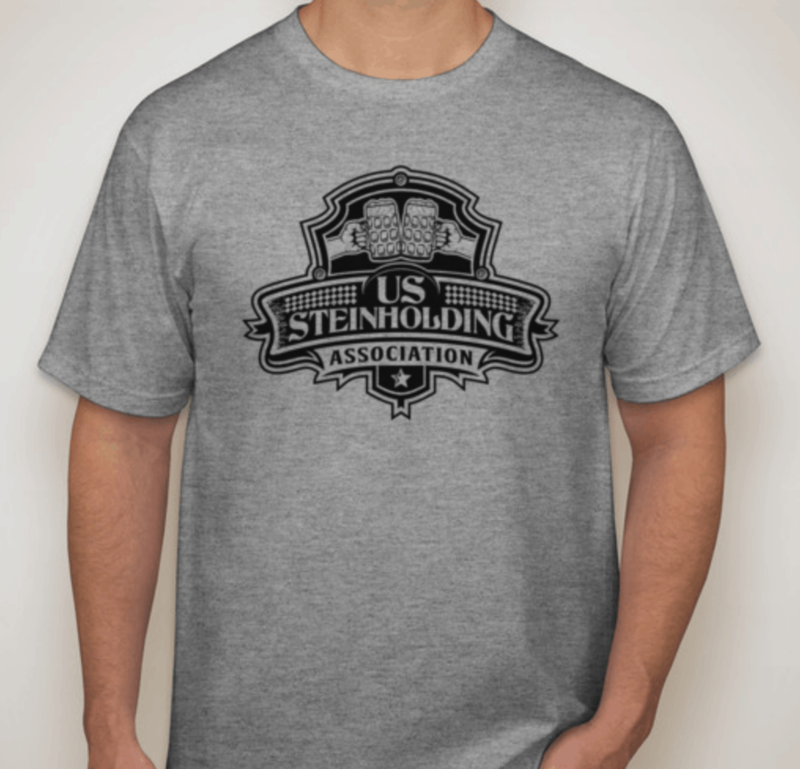 We have all the U.S. Steinholding Association and Masskrugstemmen merchandise you'll ever need. We're always adding new items and designs to the shop and we currently have hundreds of color combinations for our logo designs including t-shirts, sweatshirts, hoodies, long sleeve tees, coffee mugs and more. If you're looking to buy 5 or more items, let us know and we'll get you a discount code! You can also check out our full Threadless shop to see the latest U.S. Steinholding Association Merchandise at https://ussteinholding.threadless.com/! Click on one of the example product photos below to go to our Threadless page for that logo design to see all of the options and customize your item! To be notified when we have more official Steinholding gear available, just enter your email address below. We hate SPAM and we promise to treat your email address with the respect it deserves.